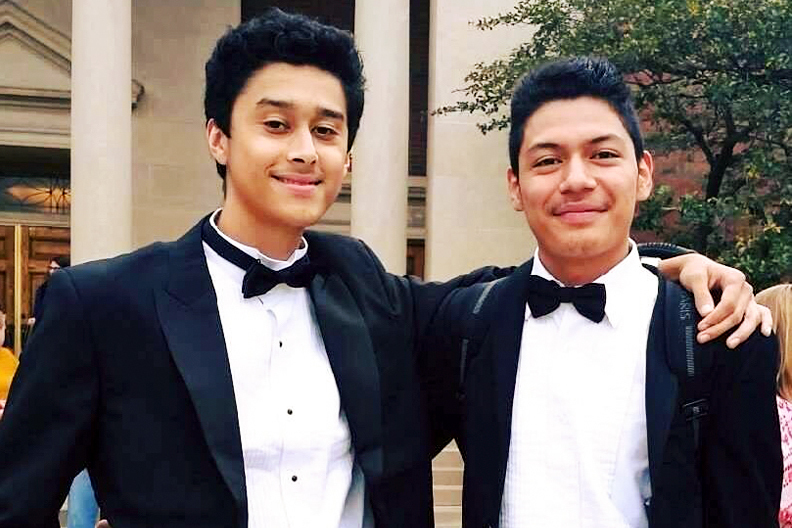 Jaime Ruiz ’20 took up trumpet in fifth grade, but he became serious in high school. Ruiz’s first year was something of a whirlwind. 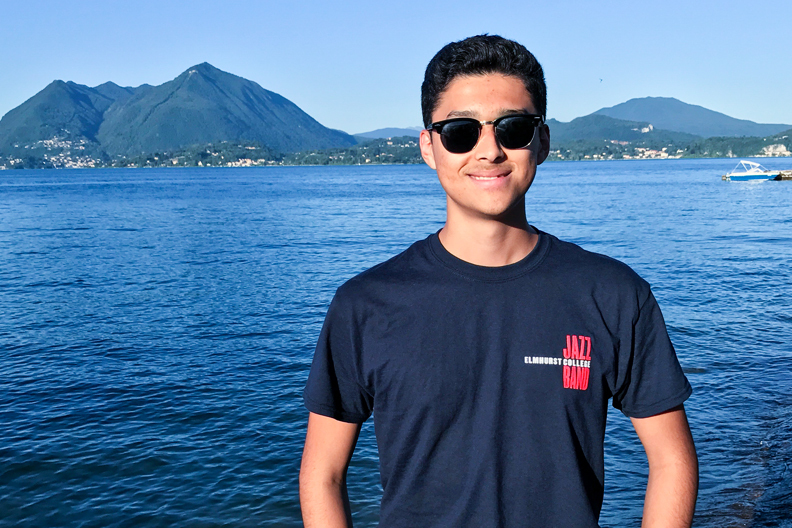 As a member of the Jazz Band, he was thrilled to play under famed trumpeter and band leader Doc Severinsen at two different concerts. Also memorable was joining the band’s summer European tour, which this year included festivals in France and Switzerland. 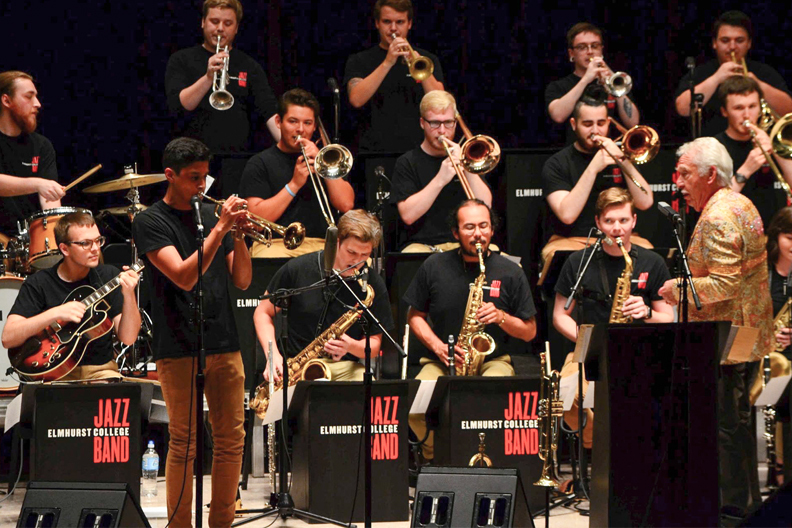 At the Umbria Jazz Festival in Perugia, Italy, the band took the stage with guest conductor and star composer Ryan Truesdell and jazz master Dee Dee Bridgewater. “We got to talk with professional musicians and see how they work,” Ruiz said. College wasn’t always on his radar during high school, Ruiz recalled. “Most of the students at his high school in suburban Carpentersville either landed a job or attended community college,” he said. Ruiz’s high school band teacher encouraged him to aim high.